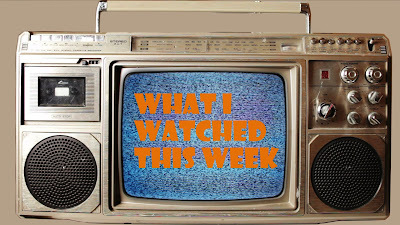 I'm going to be trying out a new format for my WIWTWs since more and more I've been feeling a bit limited with just listing what's good and what's bad about every movie that I watch. Hopefully my musing on each film will have a bit more meat. So let's get to that. Box office report: No one can really say how much #Blizzard2016 really affected the box office, but no doubt there was an effect. The Revenant came out on top with a mere $16 million, followed by Star Wars: The Force Awakens which still has a bit of life at $14.3 million. Ride Along 2 probably felt the bite of the wintery conditions the most with a steep decline from its opening weekend, managing only $13 million. Video of the week: I'll take another 3 Ip Man movies please. This is where being a completionist hurts. It's been a while since I saw any Disney Channel stuff, but noticed that this special came out since my last foray. 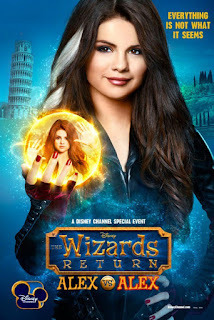 One of my biggest issues with it is how unlikable Alex Russo (Selena Gomez) is and how hard is to root for. The writing is lazy, boils Italians down to stereotypes and is plain unfunny. I don't even see how this is funny to children honestly. The CGI backdrops of Italy are also really hard on the eyes. Fans of The Wizards of Waverly Place might be happy to see almost everybody back, but honestly this is a complete non-event. Spike Jonze is one of my favourite writer/directors in the 'biz today and for good reason. With Her, he's crafted a believable world populated with strong and interesting characters. Joaquin Phoenix puts on a strong performance, but is easily matched by Scarlett Johansson in voice-only form. You might think it impossible to empathize with a man who falls in love with a computer, but Jonze makes it happen. His version of the near future is a lonely place and makes me think of this film as some sort of sci-fi version of Lost in Translation. 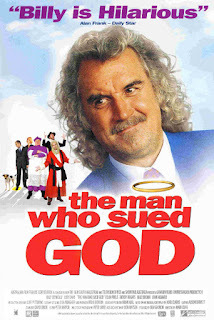 Billy Connolly is a funny guy, but to me that's only true in small doses. Nevermind that he's supposed to be an Aussie despite his trademark Scottish accent. The thing is, Connolly's foul-mouthed tirades don't get funnier the more they happen. That's not really his fault though. That's on the script because after all, Connolly does do foul-mouthed tirades pretty well. While I do like the overall idea of this movie, I wish it didn't lean so heavily on Connolly's grouchy shtick. Allen's follow-up to Midnight in Paris is star-laden and even features himself in an acting role after a long absence. Several stories are presented and not all of them are created equal. 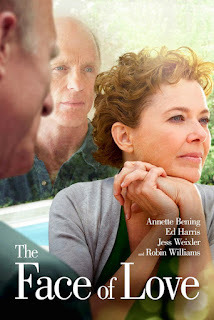 The one with Jesse Eisenberg and Ellen Page is really not that memorable and not even Alec Baldwin's appearance as some sort of conscience can save it. 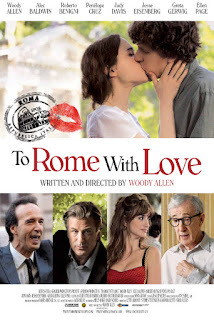 The one featuring Woody Allen is better due to the ridiculous opera sequences and even Roberto Benigni's overacting in his story is charming. While I like the relaxed nature of To Rome with Love, there's not even here to really leave much of a mark. I don't know why I do this to myself... The concert segments are lazily filmed and edited which contributes to the general lifelessness of this entire effort. There's some behind the scenes footage which introduces us to the lucky band members behind Hannah Montana, but they seriously gave me the impression that they wanted to be somewhere else just like I did while watching this. Worst of all? Miley Cyrus was very obviously lipsyncing her entire performance. Only the biggest fans of Hannah Montana need apply here, if they still exist that is. My usual complaints regarding VeggieTales still apply to this one, but I will say that this is one of the better entries. The humour actually half-works on rare occasions and there is some of Big Idea's best animation work to date. The Silly Song segment doesn't even make me want to cover my ears for once which is thanks to better song writing. But yes, there's is a long way to go before VeggieTales is anywhere near respectability. Voice acting is a huge problem still among many. The Face of Love appears to be a familiar story about the death of a husband or wife. 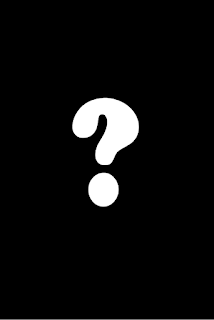 The usual question is, when is it OK for the surviving party to get past the grieving period and move on with their life? Matthew McDuffie have Arie Posin thrown us a curve. What happens when the surviving party meets someone who looks identical to their dead loved one? While this might sound sort of interesting, the script really is the downfall due to Bening's character's horrible decision making and inability to face the truth which makes you want to scream at her. Bening, Harris and Robin Williams are just wasted. Nice scenery though. 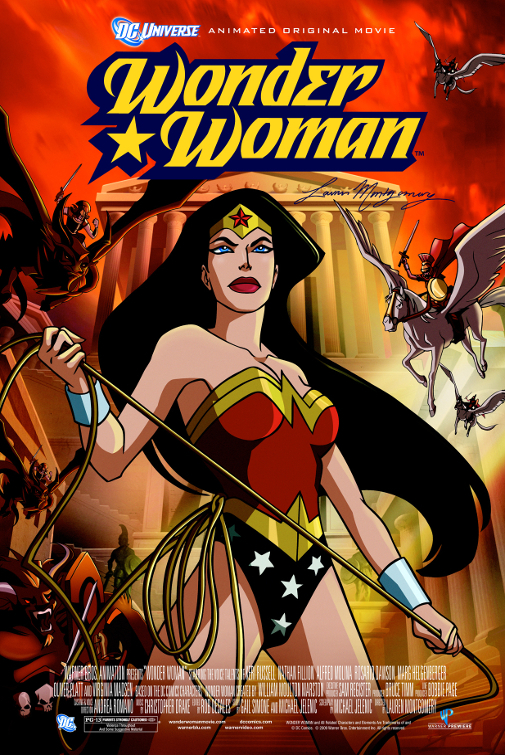 Honestly, I knew very little about Wonder Woman before I watched this and I do feel like I have a better understanding about who she is. The voice acting is strong and the animators did a good job for all the surprsingly brutal action sequences. What I didn't like was the extremely pushy feminism as well as all the would-be witty banter. And what's with the inexplicable invisible jet that Wonder Woman has? Worst of all, the conclusion pretty much just contradicts what it set out to do which was to show Wonder Woman as something more than a just a scantily clad woman to sell comics to teenage boys. 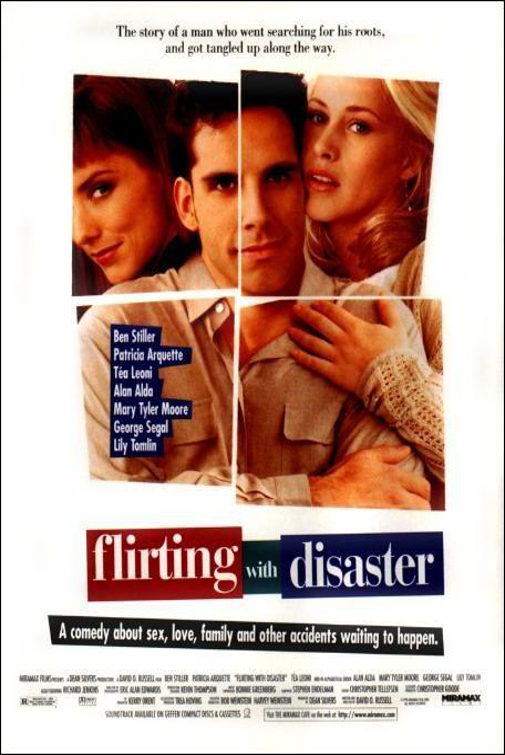 Flirting with Disaster is the gift that keeps on giving. Starting off in good if pedestrian fashion, it slowly ups the ante with more and more ridiculousness which is why this movie is as funny as it is. Russell's jokes hit their mark like few comedies consistently can and he has the luxury of working with a great collection of actors. Ben Stiller, Patricia Arquette, Téa Leoni, Alan Alda, Lily Tomlin, Richard Jenkins, Josh Brolin, etc. Just wow. FwD is loony, but it also features some nuggets of truth that make it a worthwhile watch. What is it: The very first in a long running animated series featuring the famed Pink Panther. By the time The Pink Phink was released, everyone was already familiar with the animated Pink Panther character who was featured in the opening titles of live-action film The Pink Panther (1963) starring Peter Sellers. 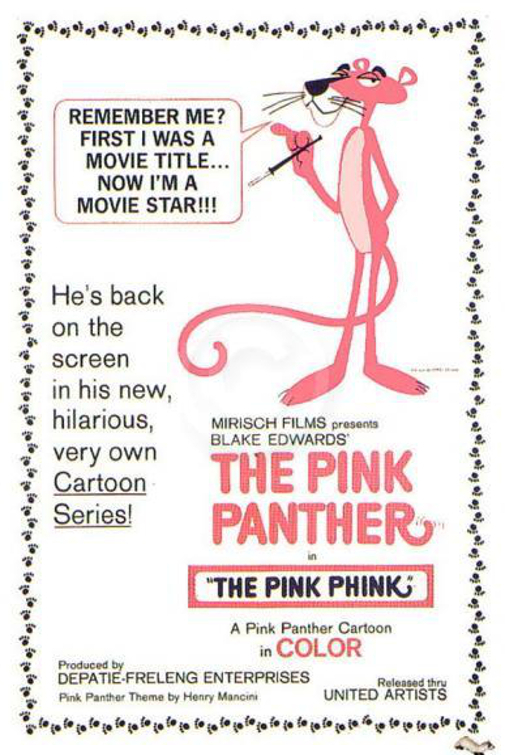 The film of course gained enough popularity in order to launch the panther in his own series of cartoons. While The Pink Phink isn't going to astound you with any sort of deep meaning, it's just pure fun. With the famous and snazzy theme song being used to good effect as well as some pretty interesting use of colour, The Pink Phink is well worth a watch.